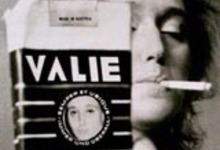 VALIE EXPORT’s artistic work comprises: video environments, digital photography, installation, body performances, feature films, experimental films, documentaries, Expanded Cinema, conceptual photography, body-material interactions, Persona Performances, laser installations, objects, sculptures, texts on contemporary art history and feminism. Since 1968 participation in international exhibitions, for example: Centre Georges Pompidou, Paris; The Museum of Modern Art, New York; Institute of Contemporary Art, London; Venice Biennale; documenta, Kassel; MoCA, Los Angeles; Stedelijk Museum, Amsterdam; MUMOK, Vienna; Generali Foundation, Vienna; P.S.1 Contemporary Art Center, New York; Shanghai Art Museum, Shanghai; Palais des Beaux-Arts, Bruxelles; Tate Modern, London; Metropolitan Museum of Art, Seoul, Korea; Metropolitan Museum, New York; ars electronica, Linz/Austria. Screenings at international film and video festivals, for example London Underground Film Festiva; London International Film Festival; Filmex, Los Angeles; Berlin International Film Festival as well as film festivals in Cannes, Montréal, Vancouver, San Francisco, Locarno, Hongkong, Sidney, New York, etc.